berries remain on the plant throughout winter. young shoots and leaves are edible raw. tuber can be roasted and ground into flour. plant is a climbing vine or tangled bush without thorns. Flower has a distinctive rotten odour. 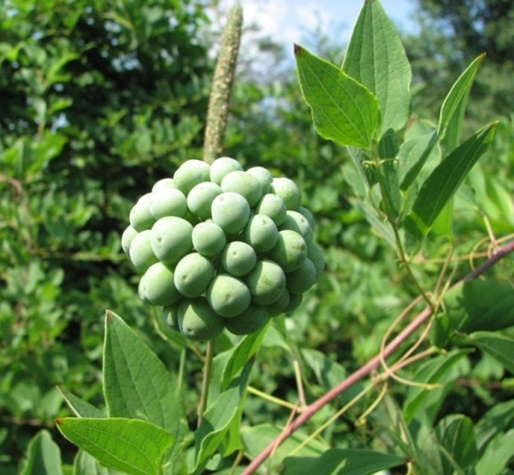 grows in low moist areas, woods, and meadows.